A desire to create something unique, a different way of being, a new look rooted in the positives of the past but looking to create new spaces for reflection and growth. In order to grow we first disassemble to build up again. In this project, we collaborated with the owners to update their urban lakefront residence. 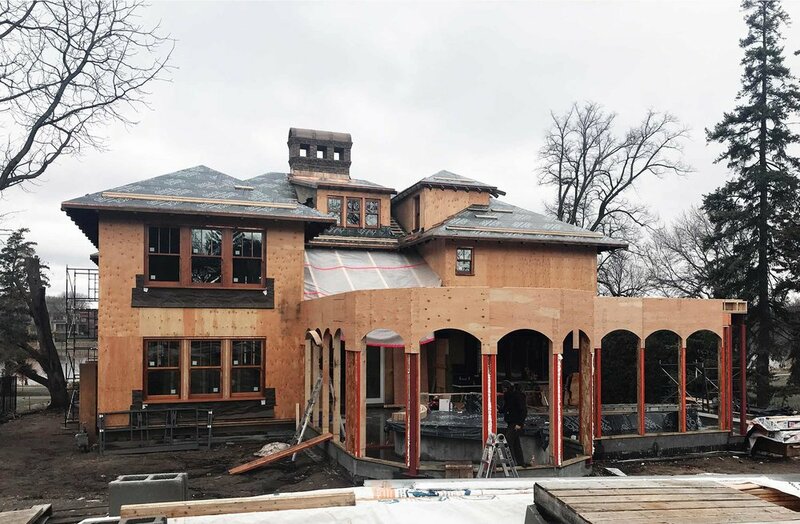 The new facade will open up to Lake of the Isles, allowing natural light to enter the house as well as passive solar gain in the winter and natural ventilation throughout the house in the summer. The stucco exterior is refreshed to mimic those of Italian Villas. The previous sun-room is demolished and replaced with a private conservatory that extends and peeks out from the north side of the house, overlooking the lake.